Human lie detector Charmaine Digby is having a bad year. After eating her way through a divorce, she's out of work and up to her eyeballs in debt. In need of a life makeover Char comes home to the senior citizen haven of Port Merritt, Washington, and is ecstatic when she parlays her eye for lies into a job as the County Coroner's new assistant. But her joy is short-lived when a hunky doctor at the hospital reports the suspicious death of Trudy, Port Merritt's beloved Story Lady. Even more stunning, Trudy isn't the only recent patient whose heart mysteriously stopped. Is it mad to think that dear old Trudy could be the latest victim of a serial killer? 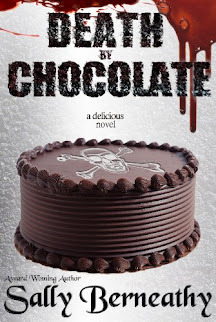 I adore cozy mysteries, but especially love cozy mysteries that have interesting, loveable characters. 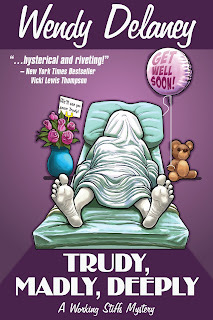 Trudy, Madly, Deeply by Wendy Delaney not only has interesting characters, but an interesting storyline. It's hard for women not to relate to a woman who has gone through a terrible breakup and spent a year unemployed. We've all been through a difficult time in which we were trying to find ourselves again. Laugh your way through some difficult times as Charmaine Digby works to start a new life for herself in this delightful book.